Dawn of the Dead (1978) Review – AiPT! Dawn of the Dead is sort of the Empire Strikes Back of Romero’s Dead series, regarded by many as the best of the franchise. In a lot of ways it is, offering a more epic scope than the claustrophobic Night of the Living Dead and Day of the Dead but without being insipidly unwatchable like Land of the Dead. 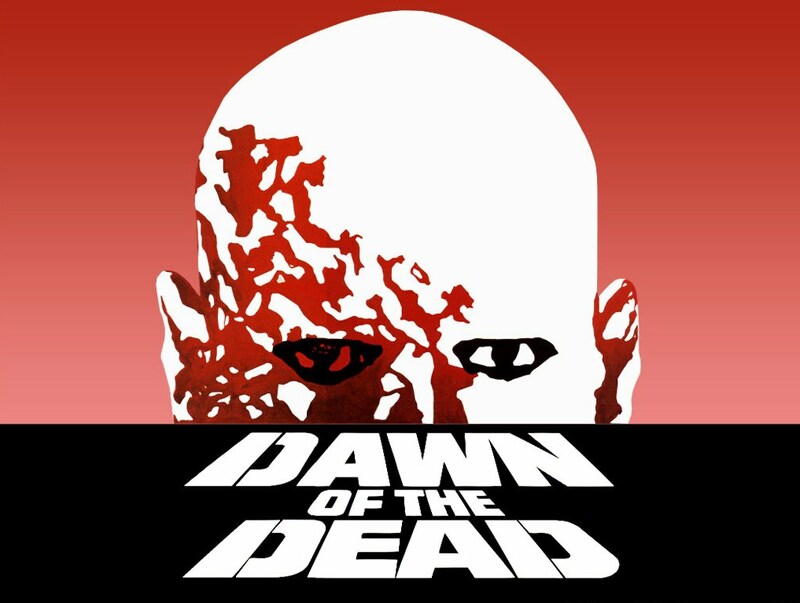 In fact, while Night of the Living Dead was the progenitor of the modern zombie film, Dawn of the Dead is the progenitor of the modern-modern zombie film. Everything from the Dead Rising video games to the comic-turned-TV series The Walking Dead owe much of their success and mayhaps their very existence to this film. The zombie outbreak has overrun the globe and nobody seems able to stop it. Helicopter pilot Stephen (David Emge), his girlfriend Francine (Gaylen Ross) and SWAT members Peter (Ken Foree) and Roger (Scott H. Reiniger) steal a chopper to escape an infected city with their lives, hoping to find sanctuary somewhere out in the boonies. What they find, however, is the abandoned Monroeville shopping mall… well, abandoned by everything living, that is. Recognizing a good thing when they see it, the quartet immediately get to work ridding the mall of its undead stragglers to turn the place into a veritable paradise. But their hard-earned spoils may not last, as their greatest threat isn’t the zombies, but a horde of motorcycle raiders bent on killing them and taking the mall’s riches for themselves. Though the ante has been upped considerably since the first installment, Dawn of the Dead carries on most of the same themes as its predecessor, focusing on isolation, survival and, most importantly, humanity’s complete inability to work together even in the worst crisis imaginable. The limited cast allows you to develop a great attachment to the main characters and you get to watch them grow and develop (you start the film hating Stephen, but he eventually earns his stripes as things move along). The bulk of the film is spent watching the cast painstakingly struggle to take the mall for themselves, one baby step at a time, so once their “home” comes under attack, you feel as invested in it as they do. I’ve seen a lot of younger viewers regard the midsection, which contains all the character growth and the taking back of the mall, as “boring” and even some of my friends my age find it hard to sit through. I don’t share that disposition, however, as I’m just kind of fascinated by the idea of mundane day-to-day survival routines in a world overrun by zombies (I’ve practically worn-out my copy of Max Brooks’ Zombie Survival Guide). Due to the tremendous quantity of extras playing shambling corpses, the makeup effects are mostly limited to grey face-paint, save some ghouls that manage a spotlight here and there and thus warrant more attention to their features. I suppose it makes them a bit more “comical” (as the zombies are almost played off for laughs more than anything else in this movie), but through the first three Dead films you can actually see an arc in the zombies’ appearance; they grow more rotten with each installment. Tom Savini’s blood mix, though, I can’t really defend. Candy apple red? It’s sort of ridiculous. If I had to select a “worst aspect” of the film, I’d immediately say that it’s the music. About a third of the film is scored by Goblin, the composers who did Suspiria, while the rest is made up entirely of public domain library tunes. The two competing tracks are positively incongruous and their clashing sensibilities serve only to distract the audience from the action. I much prefer Goblin’s work, as they bring in that supernatural, eerie sound enhanced by some pulse-pounding electronic vibes. The library music is just god awful; goofy stuff that sounds like it was purloined from a late ‘60s cop drama. None of it fits the tone of the movie, changing the atmosphere entirely in some scenes, and just sounds absurd (especially that silly “heroic” tune they play for Ken Foree at the very end). You may be interested in knowing that there are three unique cuts of this film, and if you own the 2004 Anchor Bay Ultimate Edition 4-disc DVD set (link below), then you already own them all. But basically, there’s the 127 minute US theatrical cut, which is the one we’re all used to and happens to be Romero’s preferred version (it’s also the version I’ve been reviewing). Then you have the extended cut, which runs 139 minutes. It only adds 12 needless minutes of runtime during the mid section, as the characters adapt to confinement in their pleasure prison, and really, the US theatrical cut had more than enough of that. It also contains 100% library music which, if you couldn’t tell from the previous paragraph, is not something I appreciate. Finally, there’s the European cut known as Zombi (not to be confused with its Euro-sequel, Zombie). Running 118 minutes and edited by Dario Argento, it’s a much leaner film and probably better suited to the crowds who find the US theatrical cut “boring”. It also contains more music from Goblin, making it easier on the ears. Unfortunately, you lose some really sweet moments in the trade-off, such as the zombie getting the top of his head sliced off by the helicopter blades. Dawn of the Dead is often praised for its message satirizing American consumerism and materialism. The message is definitely there, yes, but I wouldn’t really praise the execution. The characters, at least twice, all crowd together and explain the message to the audience via some pretty hammy dialogue. I much prefer the more overarching message of the Dead series, that humanity is its own worst enemy. Pretty bleak, yeah, but fitting under the circumstances. Though not perhaps the flawless masterpiece some would have you believe, Dawn of the Dead is still a superb film and a vital installment in the zombie subgenre of horror. Though the music may leave you irritated and the blood may leave you laughing, the characters and the story remain strong over thirty years later. But Creepshow is still Romero’s best flick.